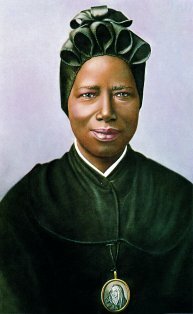 February 8th is the feast day of St. Josephine Bakhita. She suffered incredible physical, sexual, and emotional abuse, and torture from the age of seven until her young adulthood. Despite this, she became renowned for her holiness and joy by the time she died in 1947 at the age of 78. Born to a well-to-do family she was kidnapped and sold into slavery at the age of seven. The experience was so traumatic that she forgot and never again remembered her birth name. She was sold to several different slavers that brutally abused her, physically and sexually. She was tortured many times. (Need I remind anyone such things are still happening today)? In St. Bakhita’s time trauma therapy didn’t exist, so her flashbacks continued throughout her life and in fact intensified when she was on her deathbed. This begs the question. How did she escape the deep resentment that can occur when suffering continues long after abuse has ceased? Here’s how. First, she focused on her faith in God rather than her suffering. Second, with the help of advocates she sought justice through the legal system. She did not shy away from asserting her rights because she firmly believed as a child of God she was entitled to justice. Third, she focused on the present. Through discernment she knew the things God wanted of her and sought to complete them. Fourth, she listened and followed the advice, counsel, and requests of her peers and superiors when she knew they were in her and/or others’ best interests. Fifth, she used her experiences to help inspire and heal others. 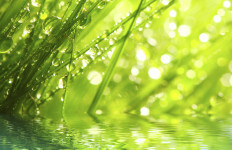 This is not just selfless generosity but a way to become empowered. When one uses a bad experience to create good one takes away the sense of victimhood. 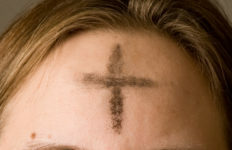 You, who have experienced abuse, be consoled and inspired by St. Bakhita. Follow her example. Ask for her prayers as one who knew severe childhood, adolescent, and adult abuse and yet discovered her worth as a loved child of God. You, who are in the position to be a support and advocate for the abused, do so. It is you calling. St. Bakhita learned about God’s love and justice through other people. A movie exists about Bakhita called, “Bakhita.” You can watch it on u-tube. Well worth it. This is a revised repost from 2011. Picture courtesy of Wikimedia commons, public domain.